Alas, I should be tearing into the Fiat’s bottom end, or fixing up the cooling system on the Sprint so I know when I’m overheating but I can’t leave the new car alone. Digging through the glove-box, trunk and interior didn’t reveal any serious jewels, but did turn up a lot of the little stuff that can be a real pain to track down. As usual, a teaser first. This is the original paint. Not easy to expose, but doable. I think I have mentioned many times that this is my favorite Alfa color. 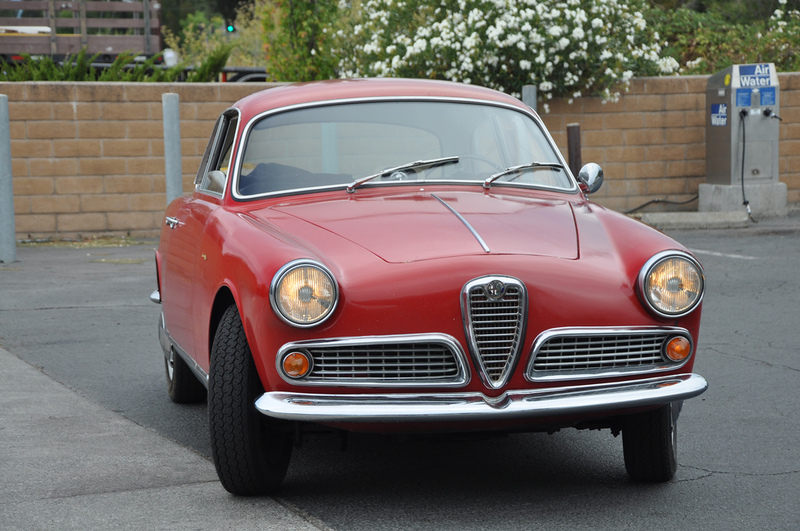 Giulietta Spider 10103*370645. 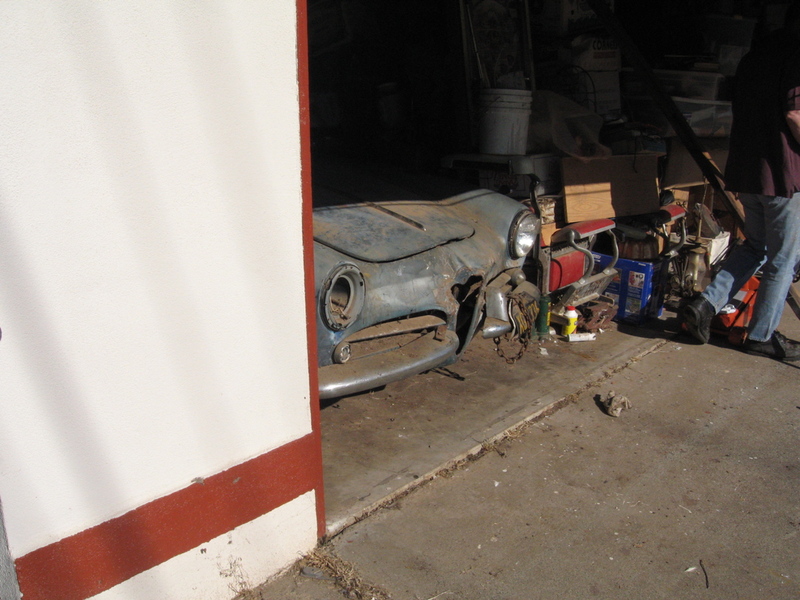 This car was available last week on Sacramento Craigslist, listed as a parts car to make an offer on. 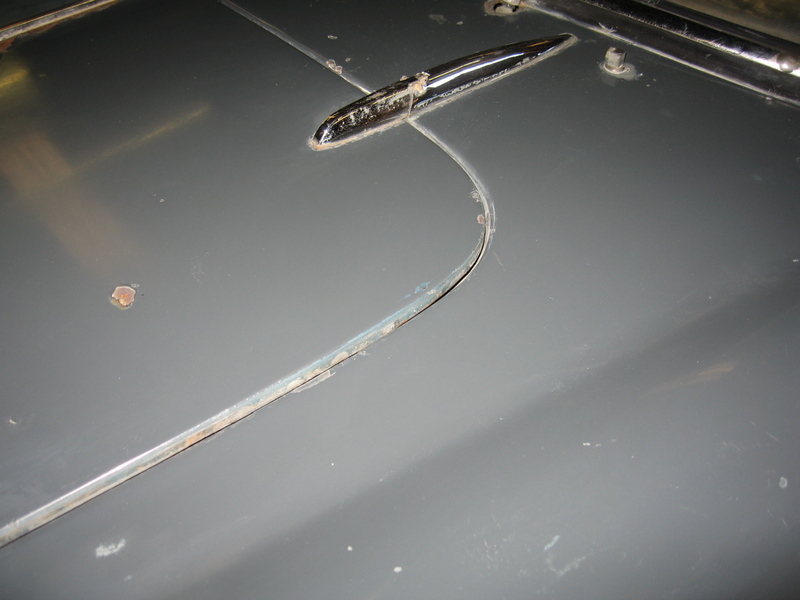 Seller stated the car was complete but rusty after having been sitting for years in various indoor and outdoor locations. The owner was the sellers father who finally admitted he was never going to get around to it. If cars could talk, tell the story, relate the lonely years spent 15 feet from the open road, home to litters of kittens, mice and who knows what else while piled with boxes of ephemera waiting for either rebirth in the recycled form of Bob the singing big mouth bass on a Walgreen’s shelf or per chance another shot at the open road. Spider 370645 sees daylight for the first time in years, note it still has shackles on its chin.